The IMF on Thursday issued its own analysis on the Greek economy. The new debt forecast numbers have been raised in recent months and while the IMF analysis is never on point (way too optimistic), this tends to make the new number even more shocking. The entire idea of lending more and more money and raising taxes only reduces the economy, increases bad loans, and perpetuates deflation. All these policies ever do is promote bondholders at the expense of the population. This is why our Solution is so critical. Sorry it is not something dreamed up by academics or politicians – just the reality of capital movement. Politicians and academics always see government as the solution and we are the problem. The new numbers now available reflect that the total rescue program for Greece has failed in the most spectacular manner. The IMF analysts determined, even before the ultimatum to the Greek government, that the Greek economy would need yet an additional €52 billion euros for this third, so-called “bailout”. This amount is the result of nearly four years of bailouts that have totally failed. Effectively, they have been lending money, but simultaneously demanding austerity, which shrinks the economy and increases the deficits. The IMF analysts have evaluated the overall development of the recent Greek bailout. Essentially, the country remains in a sharp downward declining economic spiral. 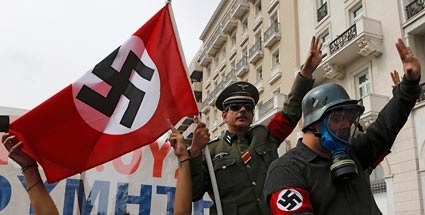 The demands of the Troika are no different from those that oppressed the German economy following World War I, which set the stage for Hitler to take power in 1933. We see Greek protesters dressing up as German Nazis for this is creating deep resentment, which undermines the entire idea of the EU. In addition to the €52, we still have the immediate needs of €16.3 billion euros. Greece could have actually paid the latter on the second loan program. In order to get a new loan program in the amount of €70 billion, this will no doubt raise serious concerns among other European taxpayers. On top of all of this, the Troika has deliberately waged war against Greek citizens by shutting down the banks in an attempt to influence the election so that the Greek people will vote “YES” for Brussels and overthrow the Syriza government. The forced closure of banks has caused companies, who were still servicing their debts, to collapse. The Troika has done far more damage than just trying to manipulate the elections. The bank closures at the beginning of the week have escalated and the ripple effect is now sending the Greek economy into a freefall. The IMF analysts determined that about half of all loans to Greek banks are non-performing loans (NPL), and this was before the bank closures. What this really means is that they have utterly destroyed the Greek economy with their austerity and total incompetence. This in turn will fuel enormous uncertainty among Greek companies and among consumers – it will more than likely push the economy over the cliff. A total of €240 billion was invested in loans from the various bailout funds to Greece in order to stabilize the financial system in Euroland. This does not include the emergency loans to the ECB, which will probably amount again to €120 billion. In the face of austerity, raising taxes and enforcement, the economy only declines producing deflation. This may have contributed to the IMF’s refusal to provide any more funds. 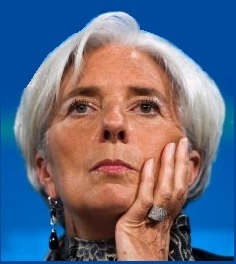 The team of Christine Lagarde seems to have recognized that cosmetic pretend bailouts are running out. 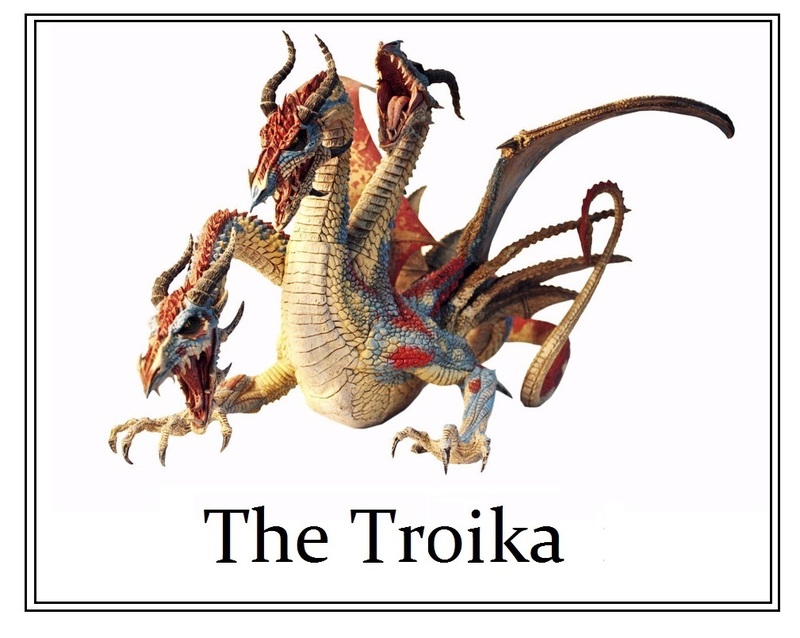 The Troika program for Greece has utterly failed and the prospects from here on out look rather grim. The Troika bailout has been the most spectacular failure in modern history. No one in the Troika will ever accept responsibility for this disaster on a monumental scale. If these figures are true, it is clear: Greece will be pushed into a massive depression. This is most likely going to spread after October 1, 2015. As stated previously, this is a massive DEFLATIONARY wave. We will be on our hands and knees begging for inflation to return.